Opt-in to receive each of our free resources below. You will automatically receive an email with a link to download your PDF. You can opt-out of receiving Balanced Path Coaching emails at any time. 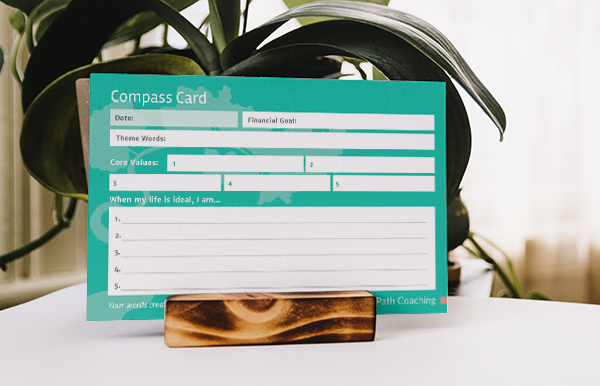 This card is the perfect tool to keep you on track for changing your mindset to start achieving your goals. By listing the most important markers that help you make daily decisions, you will be reminded of what is most important to you and what you are striving toward. By reading this every morning, you set an intention for yourself to manifest what you have written. It is an extremely powerful tool to start seeing real changes in your life! Are you ready to take action in your journey of self-discovery and career fulfilment? Schedule a free consultation today and begin the path to fulfillment with the help of career coaching.